With eCommerce opening new possibilities, the shopping patterns of customers are changing. Shoppers are increasingly using multiple channels to find the products they are looking for. You can find a section of customers who would prefer to research in brick and mortar stores, and then make the purchase online. Similarly, you will find people who prefer the other way round too – research online and purchase offline. Such diverse shopping habits have motivated store owners to think of the multi channel retailing concept. In this article, let’s see how you can effectively set up a WooCommerce multichannel retail system. We will also find out more about the advantages and challenges of multichannel retail. What is a multichannel retail system? A multichannel retail system implies that you are selling your products on more than one channel. Typically when an eCommerce vendor used to sell only through their website, now there are many more channels. These include a brick and mortar store, online marketplaces like Amazon, and even native shopping options of social media channels like Facebook. According to several studies, selling through multiple channels have the potential to increase your revenue considerably. For example, if you are selling your products at two different online marketplaces, there are chances of increasing your revenue almost up to 200%. This is a solid figure, which as a store owner, you can’t ignore. Multichannel retailing is a natural response to changing customer behaviors. As customers prefer to interact with a brand through multiple channels, each channel should be prepared to bring in revenue. How to setup a WooCommerce multichannel retail system? You can accept payments by cash, popular cards, gift certificates or checks. Get your earnings deposited to your account in one or two business days. Adhering to PCI Data Security Standard (PCI-DSS), you can be assured of the safety of data of yours and your customers. Option to accept payments in offline mode. Transparent pricing according to your transactions (2.75% per swipe). Find out more details on Square POS here. Once you have a Square account, you can use the free extension to integrate it with your WooCommerce store. Get the WooCommerce Square extension here. Once you install and activate the WooCommerce Square Plugin, you can navigate to WooCommerce > Settings > Integration. Click the Connect with Square button to integrate your WooCommerce store with the Square account. Once you have installed and activated the WooCommerce extension, you can simply click the button to integrate your Square account and online store. You can now handle transactions from both your online and offline stores at one place. 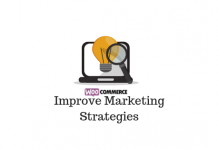 Now, another scenario that you may want to try out is integrating your WooCommerce store with social media channels. WooCommerce has an extension that will help you sync your products with Facebook and Instagram. This will help you drive sales through the business pages of these two social media channels. You can simply install this plugin and sync your products with your Facebook business page. 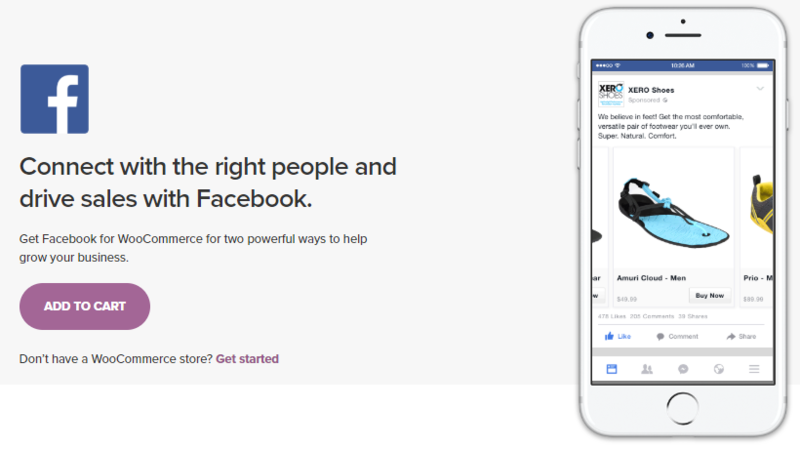 Once you sync your store with Facebook, any changes you make on your WooCommerce store will be updated real time on the social media page as well. The extension also allows to create a unique product list on Facebook by giving prominence to your best selling products. It also ensures a hassle free display on mobile devices of different screen sizes as well. Similar to the Square extension, you can install and activate the plugin. Then navigate to WooCommerce > Settings > Integration. Then, configure the options to import products to Facebook. 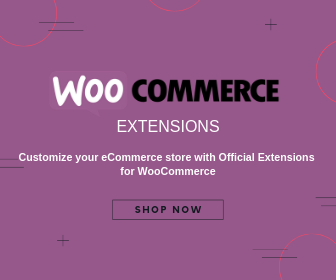 Get the Facebook for WooCommerce extension now! Now, part of a multichannel retail strategy, you may want to integrate your WooCommerce store with Amazon as well. You can use Codisto LINQ, a free WordPress plugin, to manage this. This plugin will help you sync your WooCommerce products, stock level and orders in real time with Amazon and eBay. 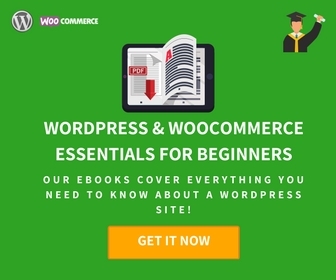 It will send the orders you receive from Amazon and eBay to your WooCommerce store for fulfillment. You can even create unique products to feature on Amazon from the WooCommerce admin. This plugin helps you integrate all the products, inventory and orders in real time to popular online marketplaces such as Amazon and eBay. The plugin will auto assign a category to the products that you sync on eBay. Moreover, you can list the products on the marketplaces on any account across the world. You will also get domestic and international shipping options on eBay and automatic shipment tracking. Though you cannot import products listed on Amazon to WooCommerce, you can map them once you upload those products on WooCommerce. Another channel that you need to focus on is price comparison websites. When users are interested in finding the best deals for a product, they rely on price comparison sites. WooCommerce Google Product Feed extension helps you add product information to Google Merchant Center. The extension allows you to choose the fields that you want to display on the feed. It also help you integrate product information to Bing Merchant Center. Integrating your WooCommerce product feed with Google Merchant Center enables setting up of Product ads. Another plugin you can try out is WooCommerce Product Feed Pro. It is a complete solution to generate product feed for WooCommerce based online stores. This plugin comes with a range of features like Smart Filter, Category Mapping, Dynamic Attribute, Auto Feed update, Syncing via HTTP/FTP, Custom Taxonomy and a lot more! 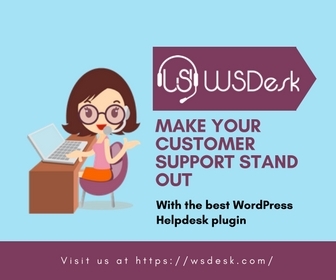 WooCommerce Product Feed Pro supports most of the popular multi-vendor plugins and is also compatible with WPML Plugin to make multi-language feed. It has a dependable online support system that will solve your queries promptly. ELEX WooCommerce Google Product Feed Plugin is another good option that you can try out. This plugin helps you create a product feed based on the requirements specified by Google. You can upload the XML file to Google Merchant Center and later create Google Shopping listings by connecting it to your AdWords account. The plugin boasts features like adding product fields, scheduling cron job or auto updates, variable product support, etc. Moreover, you will get reliable support from the ELEX support team. As you may have already noticed, there are several advantages to multichannel retailing. Selling on diverse channels naturally gives you an advantage to increase your revenue and better reach for your products. 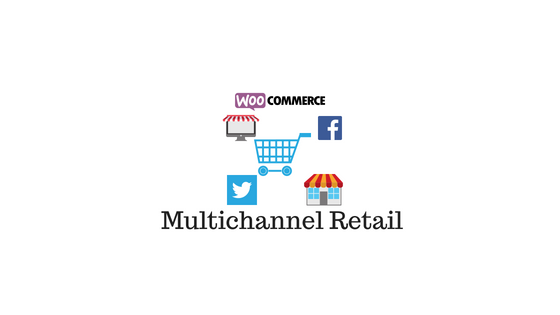 Let us quickly analyze some of the obvious advantages of multichannel retailing for a WooCommerce store. Customers have become a lot more perceptive to different dynamics of business with the popularity of eCommerce. They naturally don’t want to limit their shopping explorations to a single preferred channel. This is augmented by the availability of numerous channels trying to access them with products. Customers know that they can find more value for their money if they invest a little bit more attention on diverse channels. Naturally, the response of store owners to this rising trend is visible in them venturing out more into multichannel retailing. Customer behavior has changed over the years in how they approach a shopping event. Often you can classify customers into those who research online and shop offline and vice versa. And, as a result, there would be naturally more aligned to shop from someone that offers them both. Studies have shown that customers who prefer multichannel shopping tend to be more inclined to complete a purchase. Thus, overall, multichannel retailing benefits you better to offer improved customer experience to diverse strata of customers. Multiple studies have pointed out that multichannel retailing strategy would help you increase sales and profits. Generally, customers who are using multiple channels for their shopping needs are comparatively willing to spend more money. As a result, multichannel retail has the capacity to increase your average transaction value. Moreover, it will improve the overall sales number in a given period compared to a single channel retail system. Similarly, opting to feature your products in more than one marketplaces would pose a natural advantage than selling in one. Multiple sales channels enables store owners to serve customers better. This is partly because technology has allowed a lot of back end activities to be more simple. As a result, store personnel can engage with customers more to understand their likes and dislikes. For example, with product catalog and stock status readily available on a device, store personnel are better informed to help with customer queries. As you are interacting with customers through more than one channel, there will be better availability of information. You will be able to understand your customers better, if the data collected from diverse sources is vast enough. This will help in targeted marketing efforts, as you can approach the customer with a more personalized deal or offer. Also, if you are integrating the information among all your channels, customers will feel sort of a belonging with your brand. For example, if a customer has engaged with one of your channels, and you won’t need to ask for the same information again. In fact, this will help improve customer experience as well. In a multichannel retail system, customers are engaging with your store more often and more readily. You are better equipped to know their likes and dislikes. This puts you in a great advantage when it comes to marketing efforts. You can approach the customer at different times through diverse channels like phone, email, social media, etc. This will improve your persuasive power, and at the same time help the customer to find what they were looking for. Though a multichannel retail system poses several advantages, it comes with quite a lot of challenges as well. Let us examine a few of those here. Setting up a multichannel retail system can be relatively more expensive than maintaining a single channel. This is because you have to manage the day to day operations of each. That means more employees, and related resources. Similarly advertising through multiple channels too will be quite expensive. You might be running an AdWords campaign and a print advertising campaign at the same time. So you need to be in a comfortable position in terms of profitability before venturing out to diverse channels. How you price you product is another challenge in multichannel retail. You might have seen several examples for this like hotels charging less in marketplaces compared to their own websites. Same is applicable when you shop from a brand site and Amazon. This is because online marketplaces consistently exert pressure to lower the prices. Having a reliable Product Information Management solution would help you make prices consistent across channels. If your sales are scattered across channels, managing each is going to be a nightmare for store owners. It can get worse if you are not prepared to handle the increased sales volume you recently acquired through a new channel. Streamlining orders to a centralized system would help you a lot in managing the complexities of receiving orders from multiple channels. Some of the WooCommerce extensions mentioned above specifically help in centralizing your multichannel retail system. If yours is a small store with limited resources, your promotional activities can suffer, when multiple channels are involved. This is because you need to invest considerably in every channel to get considerable results. Dividing resources among channels might be counter productive too. In such a scenario, the best outcome would be to measure the effectiveness of different campaigns and invest in the ones with more ROI. However, in a multichannel system, you can try out less expensive strategies. For example, Facebook promotions instead of Google AdWords. As multichannel retailing is all about customers, you need to be on the top of your game continuously to gain all the benefits. When you are in a multichannel retail system, you need to provide the best experience to customers across all of them. Any lapse in one channel can adversely affect the reputation of your brand. Overall, pleasing your customers will be a whole lot tougher, but the rewards will be worth it. As customers are becoming more creative with their shopping habits, store owners need to find more strategies to catch up. Multichannel retail systems have thus become a necessity to keep up with customers. It offers a lot of possibilities to increase customer experience and revenue compared to single channels. However, maintaining a multichannel system comes with a fair bit of financial and operational challenges too. Hope you have understood some of the easiest ways to setup a WooCommerce multichannel system from this article. If you have a specific insight to share with us, please leave a comment.